T.I.P. 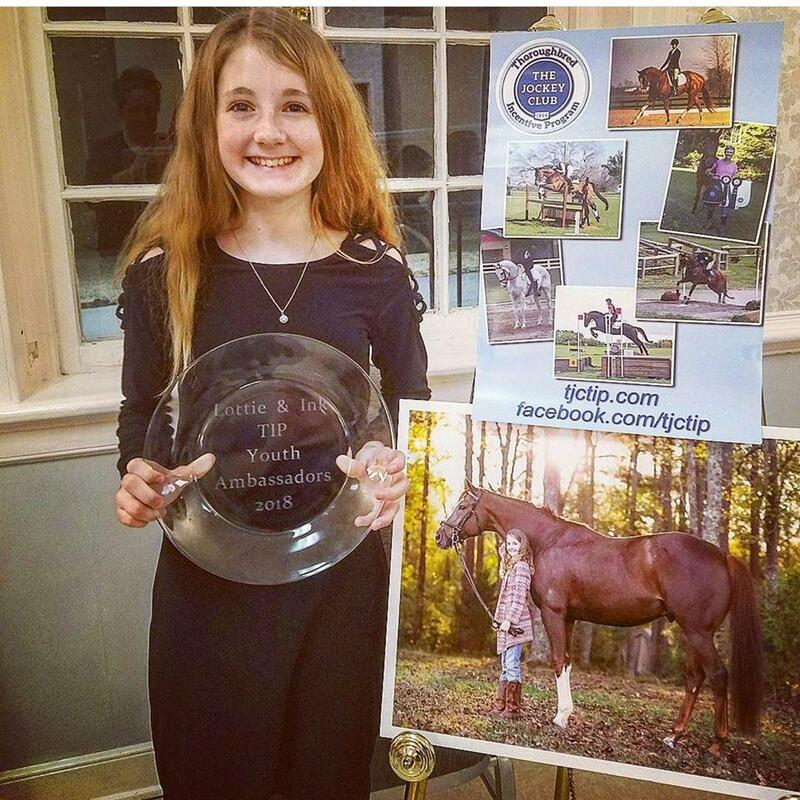 presents February’s featured Youth Ambassador: Lottie Crawford. Lottie, 9, is from Virginia. 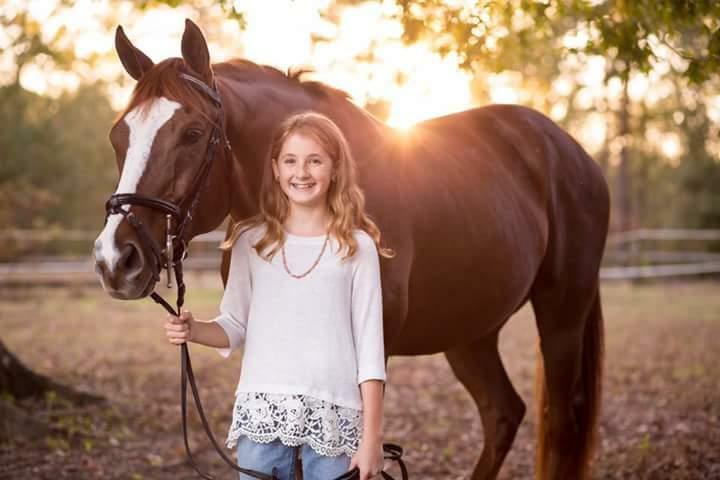 Lottie and her Thoroughbred, Get It In Ink, participate in Dressage and Hunters. 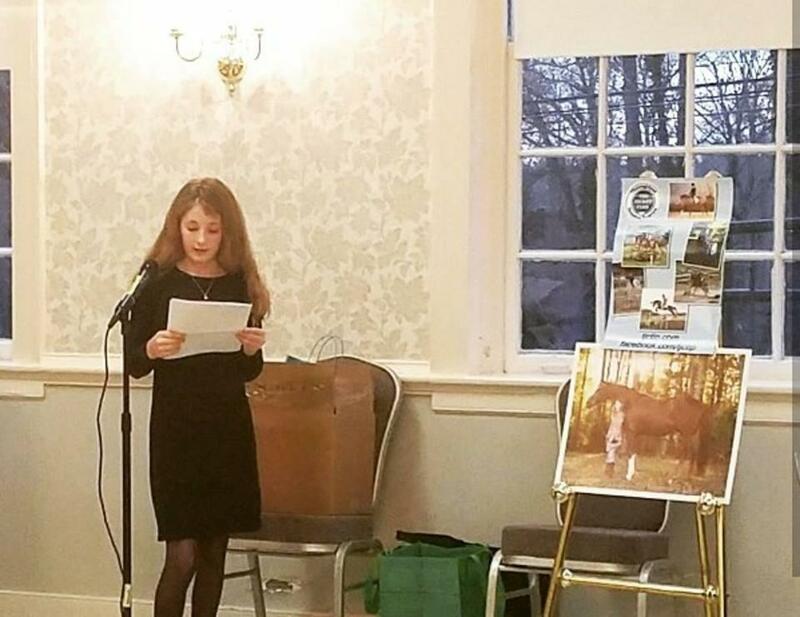 Lottie is a member of the Virginia Dressage Association Central Chapter and recently spoke in January at their Winter Gala and Awards Banquet as the guest speaker. She spoke about the Thoroughbred Incentive Program and her journey with Ink. To further accomplish her mission as a T.I.P. Youth Ambassador and share her updates this year she started a Facebook Page “Lottie Crawford & Get It In Ink 2018 TIP Youth Ambassador” and an Instagram account @lottie_ink_tipambassador18. I began riding my mom’s horses as a toddler. I got my first pony at five years old and have been showing since I was four. The feeling of excitement when he understands something new that we have been working on in our training. “It’s not our horses’ job to understand our language, it’s our job to understand theirs” – Reiner Klimke; I like this because if you slow down and listen to your horse the relationship is so much stronger. To me the most important aspect is confidence. A confident horse and a confident rider. Riding is a team sport with the rider and the horse being teammates. If they are both confident and trust each other they can build a great foundation. That the Thoroughbred is one of the most versatile breeds with the biggest heart. The Thoroughbred Incentive Program is an amazing venue to bring awareness to the breeds ability to have successful careers after the track.